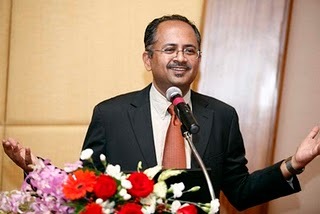 The customers are the real brand ambassadors of Royal Enfield, said RL Ravichandran, Execu-tive Director, Eicher Motors, while delivering his valedictory address: 'Royalty Galore: Sustain-ing a cult brand like Royal Enfield' at the Pitch CMO Summit 2012 – South in Chennai on Fri-day. Elaborating, Ravichandran said that the brand's 'The Trip' campaign is a tribute to this ambassa-dorship, and its authentic character. The campaign features actual Royal Enfield users with their actual bikes and their real stories. “Devoid of hype, the campaign establishes Royal Enfield as the last link with an adventurous, hands-on world in a time of virtual reality,” he said. To commemorate the spirit of adventure and leisure motor cycling, Royal Enfield has initiated Royal Enfield Rider Mania, an event which happens every year in India. It is reckoned as the an-nual get together for all Royal Enfield riders and enthusiasts, said Ravichandran. “This event is the only one-of-its-kind motorcycling lifestyle event in Goa where like-minded individuals, riders, fans of Royal Enfield – both Indian and foreign nationals come together for three days of fun-filled motorcycling activities, good food and drinks, tonnes of music and enter-tainment, he added. Royal Enfield has a mantra – ‘Keep Riding’ and this has brought the company to organise 240 rides last year across India and over 2,400 people participated in the event. This year, the target according to Ravichandran is 400 rides. “Royal Enfield is the only pioneer of promoting leisure riding as a culture in India,” he said. Delving into the history of the brand, Ravichandran said that Enfield merged with Eicher Motors in 1994 and that merger had the name Enfield India changed to Royal Enfield. For the record, Royal Enfield originated in UK, where it shut shop long ago. However, in India, it went on to become a cult brand, and is today exported to 44 countries, including UK. Today, Royal Enfield is to Indian, what Harley Davidson is to many in the US.